Concurrent Technologies Corporation (CTC) offers an integrated team of diverse disciplines proficient at developing a customized power and energy plan to meet our clients’ needs. Our core focus spans energy efficiency, energy/utility grid security, energy sustainability, and strategies, assessments and audits. Our registered Energy Professionals are ready to provide relevant solutions to meet your needs in a timely manner. 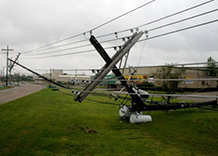 Download our Infrastructure Energy fact sheet to learn more. CTC developed an ESA methodology to enhance Energy Security posture by identifying critical facilities/systems, the energy demand/infrastructure needs of each and plausible threats/energy security risks; resulting in prioritized vulnerabilities for the installation. The ESA methodology was demonstrated and validated at twelve Army installations. 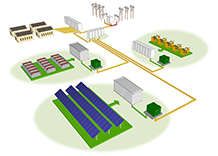 CTC developed a Mission Critical Utility Infrastructure Conceptual Design methodology to create a self-sustaining electrical power infrastructure capable of serving all mission critical loads, also known as a microgrid. This methodology was demonstrated at a number of Army and Air Force installations. The microgrid ensures mission continuity during extended commercial electric grid outages, and increases an installation’s energy resilience. CTC researched, developed and engineered PEV V2G systems at Los Angeles Air Force Base (LAAFB), Fort Hood and Joint Base Andrews. As a result, the Air Force unveiled the DoD’s first non-tactical fleet composed entirely of PEVs. 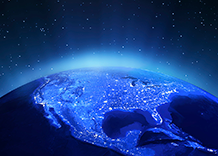 Energy providers pay for V2G services, allowing installations to offset energy costs. 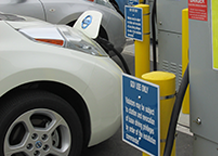 Bi-directional PEV’s and charging systems with software controls to manage vehicle fleets enable bidding into the energy ancillary services market. 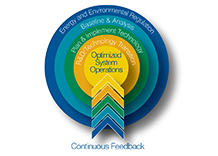 CTC subject matter experts partner with clients to develop and evaluate solutions balancing mission and performance requirements with life cycle cost considerations. CTC conducts energy related audits and assessments and provides full scale engineering services employing a multi-disciplinary team to produce effective results and recommendations for installations to meet their energy-related goals. CTC has addressed the barriers of energy storage since the mid-90s and has continued to integrate energy storage in stationary, mobile and man portable applications for our clients. 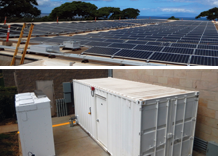 An advanced Energy Storage Management System demonstrates the ability to improve energy resiliency while increasing facility use of alternative and renewable energy at the Maui High Performance Computing Center.